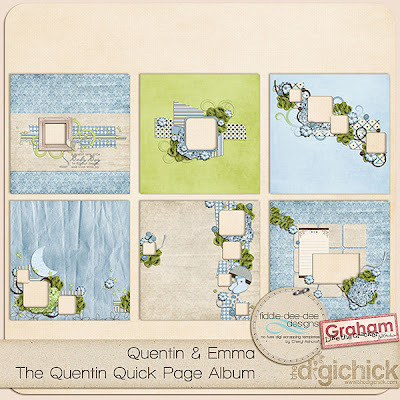 Fiddle-Dee-Dee Designs: New Templates and Quick Pages in the Shop! 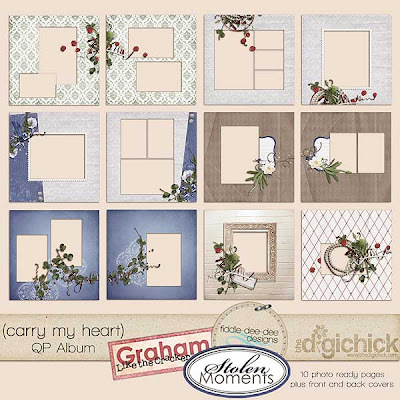 First up, I have a new set of templates for you ~ this is Fuss Free: Set Five ~ and are templates based on my own layout creations. These are on sale for 20% for a limited time in The Digichick Shop. 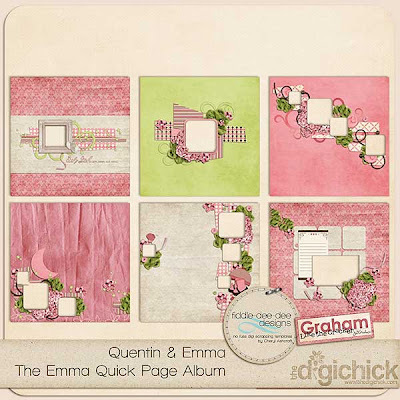 Next, I teamed up with Jen Graham of Graham Like The Cracker and created three different quick page albums. These are perfect for making an entire coordinated album in a short amount of time. Hope you enjoy these and have fun scrapping!